KNOW HOW A CAR ACCELERATES ? 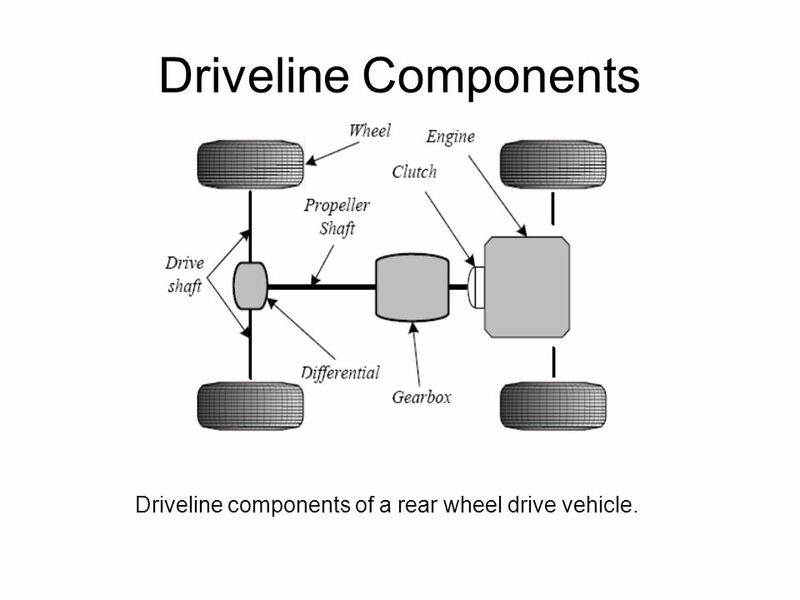 Going from 0 to 60 mainly involves the throttle, engine, transmission or differential, and tires of a vehicle. 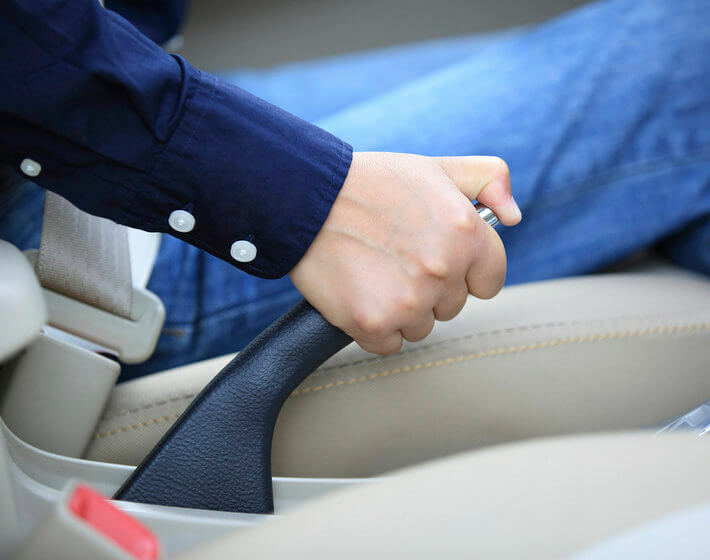 How fast it takes depends on the features of these parts.When you hit the gas pedal/throttle on your vehicle, there are a number of forces at play to get it going. 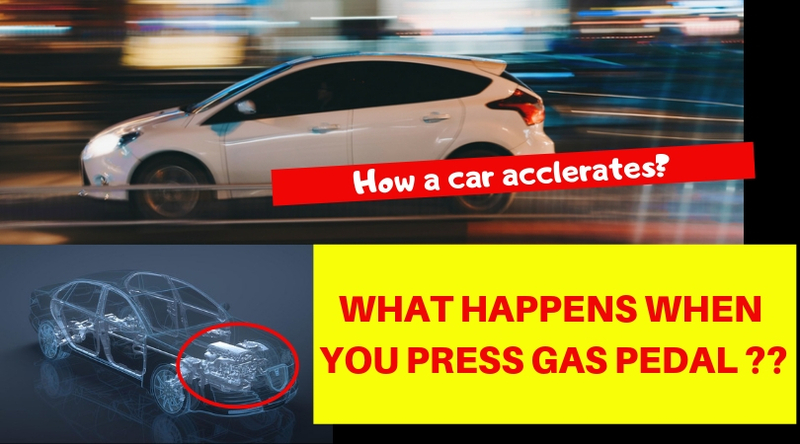 Here is a basic run-down of what happens when your vehicle accelerates. 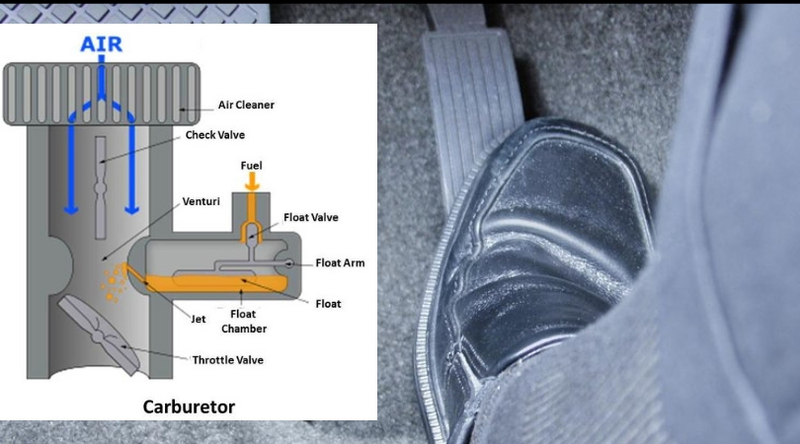 The throttle pedal/throttle is a direct line to your vehicle’s engine. 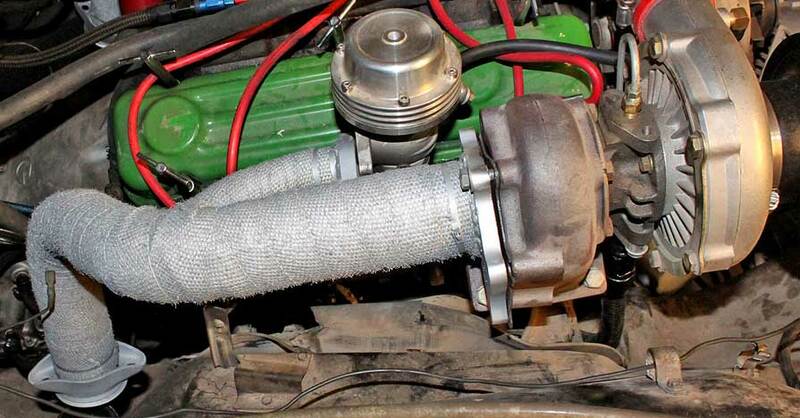 It controls the airflow into the intake manifold either through a throttle body for fuel injection, or a carburetor. This air is then mixed with fuel, fed either by a fuel rail and fuel injectors, or a carburetor, and is then introduced with spark (such as fire), fed by spark plugs. This causes combustion, which forces the engine’s pistons down to rotate the crankshaft. 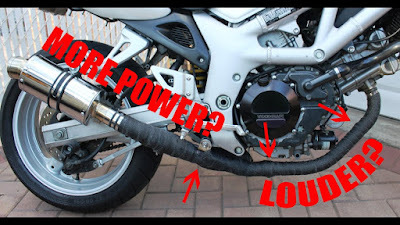 As the throttle pedal gets closer to the floor(full throttlr in case of motorbikes), the more air is sucked into the intake manifold to be mixed with even more fuel to rotate the crankshaft faster. 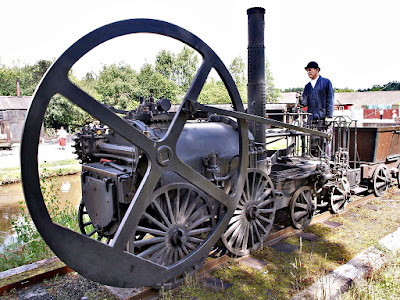 This is your engine “revving” as the revolutions per minute (rpm) of the crankshaft increase. 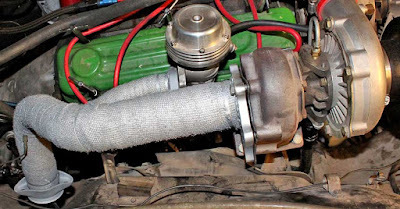 If an engine’s crankshaft output shaft is not connected to anything, it will simply rev and make noise - not acceleration. 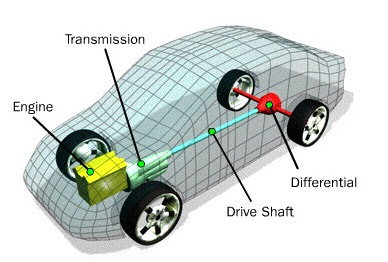 This is where a transmission comes into play, as it helps transform engine speed into wheel speed. Regardless of whether you have a manual or an automatic transmission, both varieties tap into the engine via an input shaft. Sandwiched between the engine and the transmission is either a clutch for manual transmissions, or a torque converter for automatics. 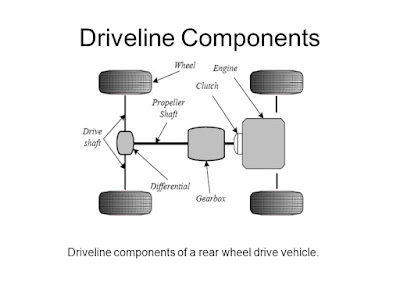 In essence, a clutch and engages the engine from the transmission, while a torque converter maintains the connection but uses a fluid-fed one-way stator and a turbine to eliminate engine stalling when idle. Think of it as a device that is constantly “slipping” the connection between the engine and the transmission. And from transmission the motion goes to tyres in case of motorbikes through chain or belt and in case of cars, it will go to differential and from differential it will go to tyres. 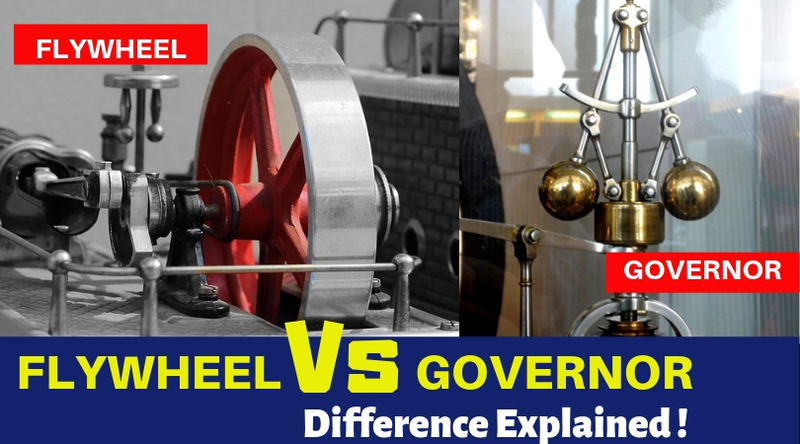 DIFFERENCE BETWEEN GOVERNOR AND FLYWHEEL EXPLAINED !! Both flywheel and governor are mechanical devices used mostly for the same purpose; that is to control or regulate the fluctuations in speed with the exception of the point of impact.While a flywheel regulates the variation of speed at crankshaft, governor controls the variation of speed caused by load variation.Let us first understand the applications of flywheel and governor and then we will come to differences. A flywheel is a heavy rotating wheel attached to a revolving shaft that smooths out the delivery of power of a reciprocating engine due to the difference between the driving torque and the active torque over the cycle of operation. Basically, it’s a mechanical device specifically designed to store rotational energy. It acts as a reservoir, meaning it stores energy when the supply of the energy is more than that is required for the operation and releases the same when the supply is less than the requirement. A governor is also a mechanical device that controls mean speed of the engine when there are variations in the load. It’s essentially a speed-controller device used to measure and regulate the speed of the machine irrespective of the load variations. It maintains the speed of the engine within specified limits regardless of load variations. 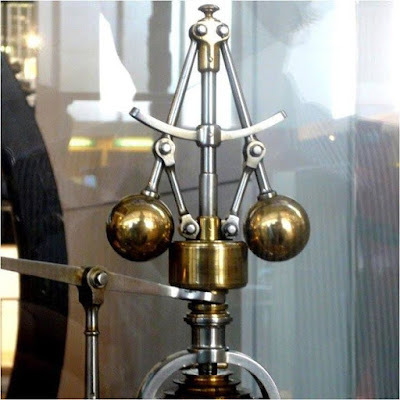 While the function of a flywheel is to regulate the fluctuations of speed during each cycle, the function of a governor is to keep the mean speed of the engine constant throughout the entire cycle. Flywheel stores rotational energy when the mechanical energy supplied is more than that’s required for operation, whereas a governor regulates the fuel supply according to the varying load conditions. While hypothetically both serve the same purpose, that is speed control, they do it very differently. The main difference in fact lies in the point of impact. 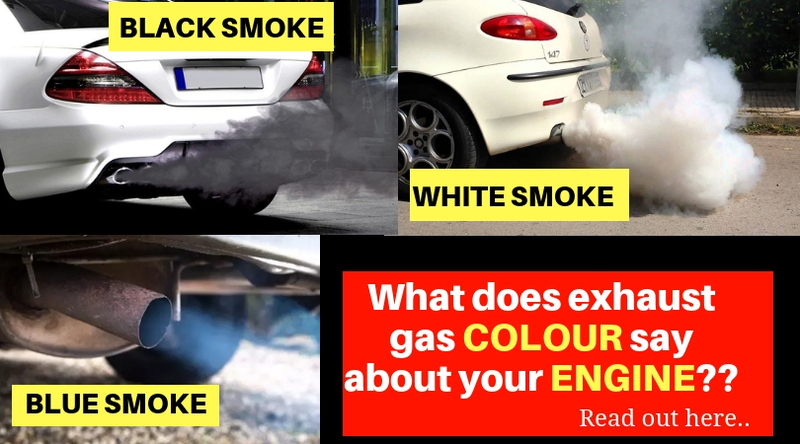 KNOW THE REASON AND SOLUTION OF DIFFERENT EXHAUST SMOKE COLOURS !! Exhaust smoke is a way of your car communicating with you to say what is wrong. Usually, the smoke that gets emitted is black, white, grey and blue. The exhaust gases is an old school way to detect symptoms of problems i.e. large amounts of black smoke may mean the EGR is blocked and it's over fueling. Knowing the difference between the smokes that comes from the exhaust is very useful. If you are not going to fix the car yourself, take note when the smoke appears and the color and report back to your mechanic. Avoiding the problem will only shorten the life of the engine and result in unnecessary repair bills. Thick white smoke can be caused by the engine burning coolant. This can be caused by the coolant leaking into the engine due to a leak in the head gasket, a damaged cylinder head or a cracked engine block. If you happen to see this kind of smoke take your car to the garage as soon as possible as the leaking coolant can lead to overheating which could cause damage to your engine. Not to mention chances of coolant mixing with the oil. White smoke has a varying amount of causes and symptoms, which are more common in gasoline cars. 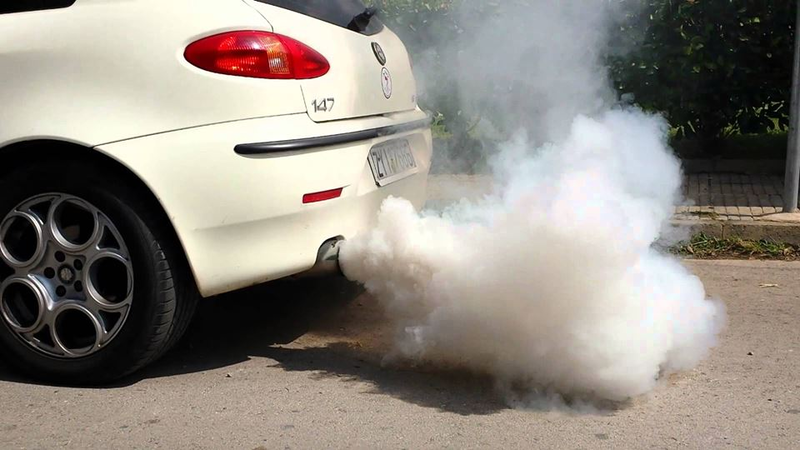 The most common cause of white smoke is when the car has just been started. The white smoke is just steam from condensation that clears as the car warms up. a. Worn or Leaking Injectors. 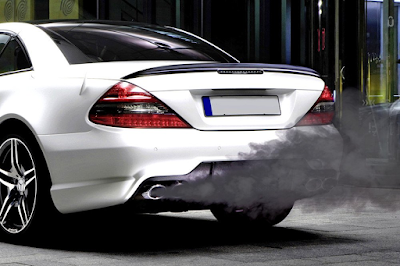 Black smoke that gets emitted from a car is more common in diesel cars. Apart from when the car is cold, white smoke should never appear from a diesel car exhaust. 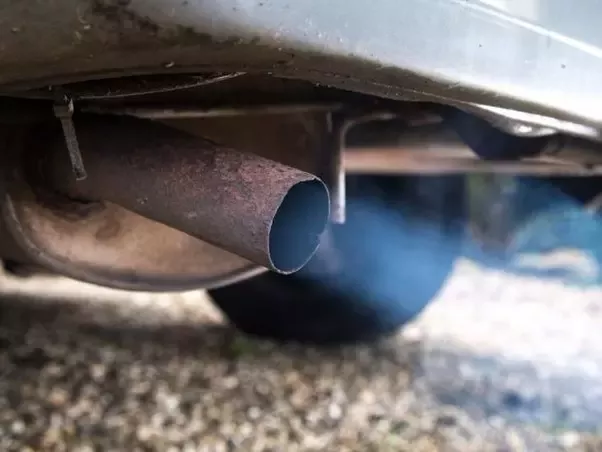 The majority of older diesel cars will blow black smoke under heavy acceleration but new diesel car will not emit any black smoke.This results in very poor miles per gallon and extra stress on engine components. Petrol engines very rarely emit black smoke from the exhaust compared with diesel cars. In almost all circumstances, black smoke from a petrol car is due to the air to fuel ratio. g. Poor Quality Diesel Fuel. h. Faulty Turbocharger and Bad Air to Fuel Ratio. Blue smoke is an indication that the car is burning engine oil. This happens when the piston rings are worn out and oil is leaking to the combustion chamber where it is burned together with the fuel. For a turbocharged car, the smoke is a sign that the blower is in need of replacement. Burning oil can cause rough starts due to the fact that it can ruin a car’s spark plugs. 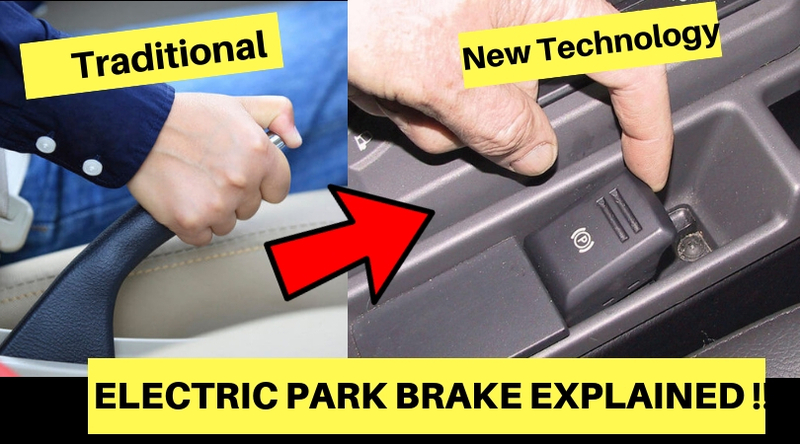 ELECTRIC PARK BRAKE EXPLAINED !! The Electric Park Brake functions as a conventional hydraulic brake for standard service brake applications, and as an electric brake for parking and emergency braking. 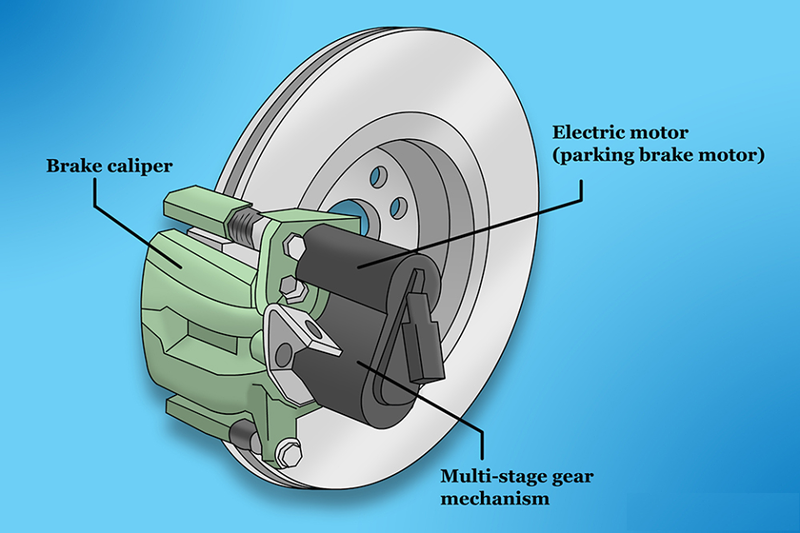 Electric Park Brake (EPB) is a caliper with an additional motor (motor on caliper) that operates the parking brake. The EPB system is electronically controlled and consists of the EPB switch, the EPB caliper and the electronic control unit (ECU). 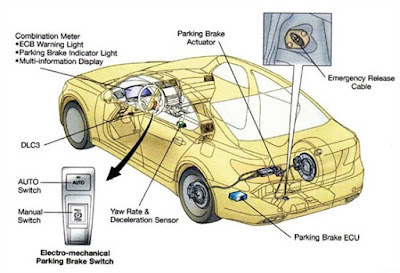 The electric parking brake or the EPB is an advanced version of conventional parking brake or handbrake. Sometimes, people also refer to this system as 'Electronic Parking Brake'. Technically this system is a sub-part of 'Brake by Wire' system. The main function of parking brakes is to avoid motion of vehicle when parked. In addition, these brakes also play an important role in avoiding backward motion of vehicle which resumes moving on a slope. Generally, parking brakes operate only on the rear wheels of a vehicle. Together, these monitor a variety of input signals and determine when to apply or release the brakes. 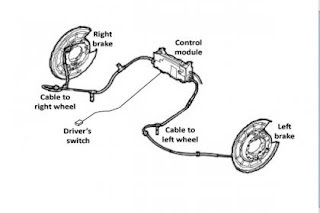 Conventional parking brakes employ a cable that connects handbrake lever and brake shoes. When the driver operates the lever, tension in the cable increases thereby forcing the brake shoe (or pads) on brake drum (or disc). Thus, wheels cannot move further. When the driver operates the switch, it sends a command to Module which senses that parking brakes are required to be operated. Later, this module commands the actuators or electric motors installed in the brake calipers to operate. Thus, brake pads are forced on the disc thereby restricting the movement of wheels. Due to the use of electronic components, the operation of this system is almost instantaneous and efficient. Also, it improves the reliability of braking because of the absence of mechanical connection. This brake deactivates automatically when the driver presses the accelerator pedal. Some vehicle manufacturers also integrate Assist function with this system. The cable pull system is simply a development of the traditional lever and cable method. As the switch is operated, a motor, or motors, pull the cable by either rolling it on a drum or using an internally threaded gear on a spiral attached to the cable. 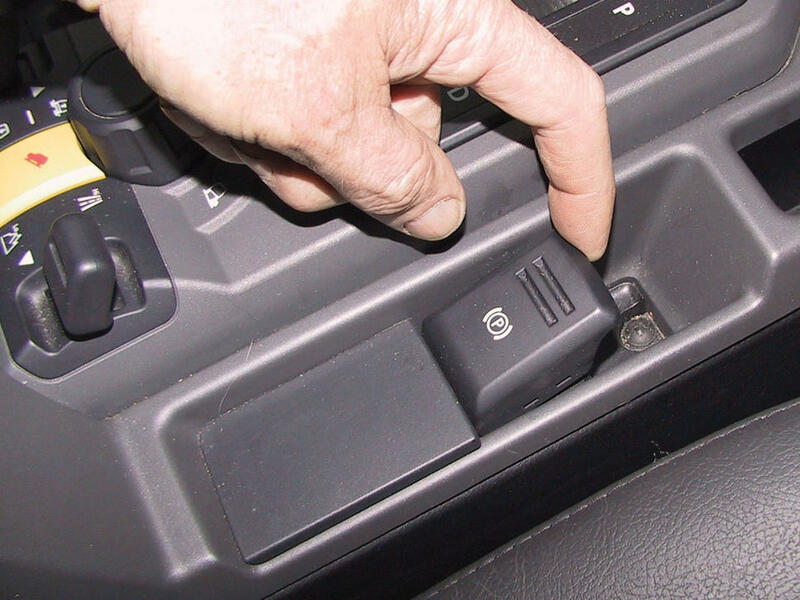 The parking brake can be released manually on most vehicles. After removing a plastic cover or similar, pulling a wire cable loop will let off the brake. When the driver presses the switch to activate the parking brake, the ESP unit automatically generates pressure in the braking system and presses the brake pads against the disc. The calipers are then locked in position by an electrically controlled solenoid valve. The caliper remains locked without any need for hydraulic pressure. To release the brake, the ESP briefly generates pressure again, slightly more than was needed to lock the caliper, and the valve is released. The drive-by-wire system was developed by Continental. It uses an electric motor and gearbox to apply pressure on the pads and therefore on to the disc. A key component is the parking brake latch. This is like a ratchet and it prevents the pressure in the piston from rotating the motor – and it therefore keeps the brakes applied. • The response time of this system is very short. • The operation is highly reliable. • Improves control of the vehicle while starting from standstill condition on a slope. 1. This system is costly. 2. It needs a skilled professional for troubleshooting. 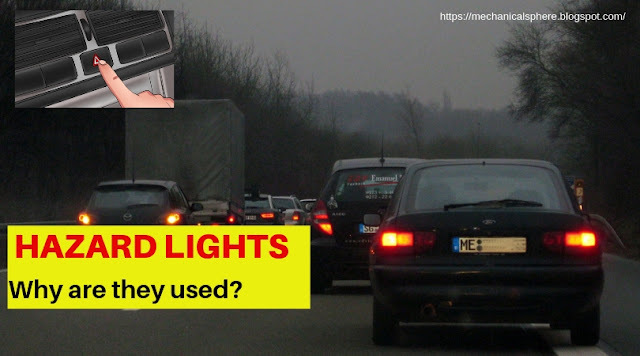 COMPLETE INFORMATION ON HAZARD LIGHTS !! Hazard lights are those lights which are indicative of a potential hazard that the vehicle flashing it may pose. When the lights are switched on, the four indicators (front and rear - right and left) begin to blink at the same time. This is an indication to all the vehicles passing it that there may be some problem with it. They are also called warning flashers, warning lights, flashers or 4-way flashers. These lights have to be independent of any other lighting or indication system provided in the car. If you have stopped your vehicle on the side of the road for some repair or any activity (esp highways) during night time, how will the traveler come to know if there is any other vehicle on the road? 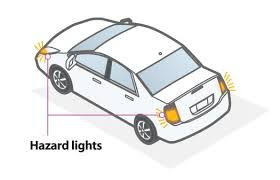 Hazard switch illuminates the front and rear lamps in ON-OFF condition to let the other person know that the vehicle is on the road and hence drive carefully. 1. )Getting pulled over. If law enforcement signals you to pull over, turning on your hazard lights can show the officer that you acknowledge their signal and are following the request. Slow down, turn on your hazard lights, and stop your car in a safe location. 2. )Changing a tire on the side of the road. Use your hazard lights when your vehicle becomes a potential hazard for other road users. If you’re parked on the side of the road changing a tire, it’s generally okay to have your hazards on. 3. )Your car has broken down and you’re waiting for a tow. Your car has become a temporary hazard and you’re waiting for assistance. Warn other drivers of your presence, especially if you are not able to move your car out of traffic. 1. )Driving in bad weather. With your hazards on and rain or snow already blurring road visibility, other drivers may not be able to tell which lane you’re in or if you’re changing lanes. Turn on your headlights and taillights in inclement weather instead. If the weather is bad enough that you feel hazard lights are truly necessary, pull off the road and stop until conditions improve. 2. )Driving in heavy traffic. While your hazards can make you more visible, they can also make it challenging for other drivers to anticipate what you’re doing and where you’re headed, since turn signals are disabled when hazards are activated in some cars. 3. )Parking illegally. Parking illegally is never a good idea. But if you do park illegally…turning on your hazard lights doesn’t make it legal. Keep driving until you find an appropriate parking spot and won’t be blocking traffic. 4. )A turn signal will do the job. If you’re slowing down to exit the highway due to an unexpected problem, think twice before using your hazards. 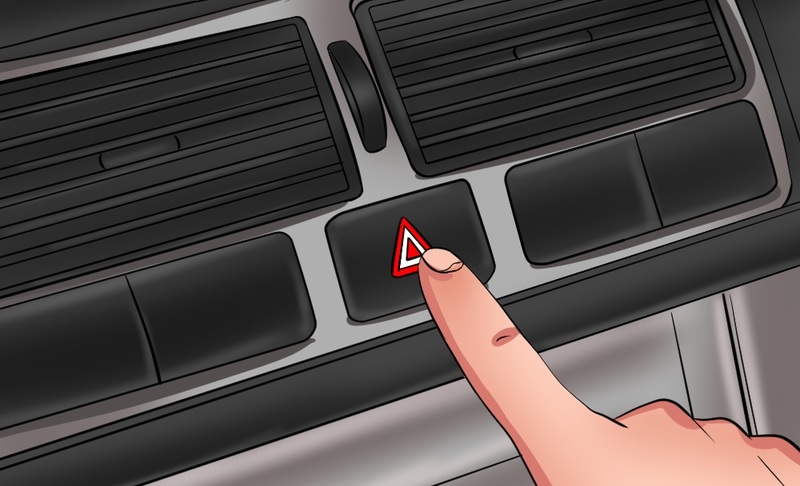 As we mentioned before, turn signals are generally disabled when your flashers are on. That can make it difficult for other drivers to know where you’re going and could result in a crash. Hazard lights are an important safety measure that your car is equipped with. So take care and ensure that they are in proper working condition. 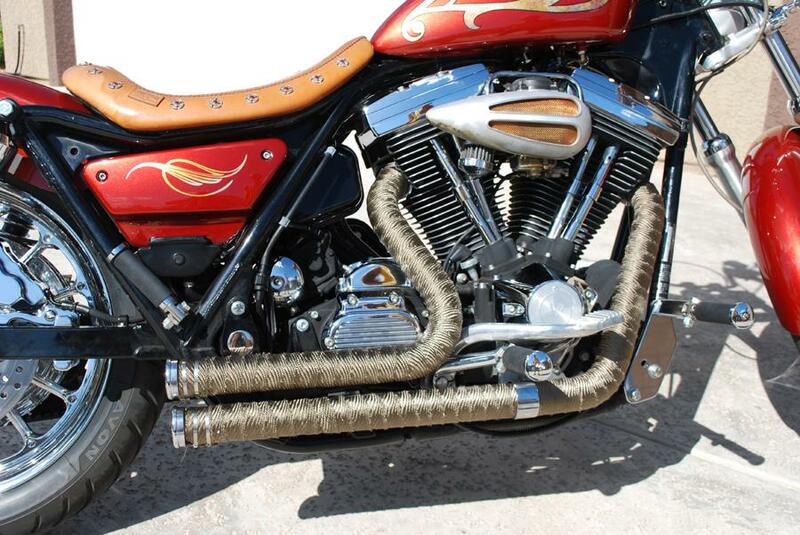 EXHAUST WRAP !! WHY THEY ARE DONE ?? EXPLAINED ! Traditionally, exhaust headers were wrapped only in race cars or bikes. 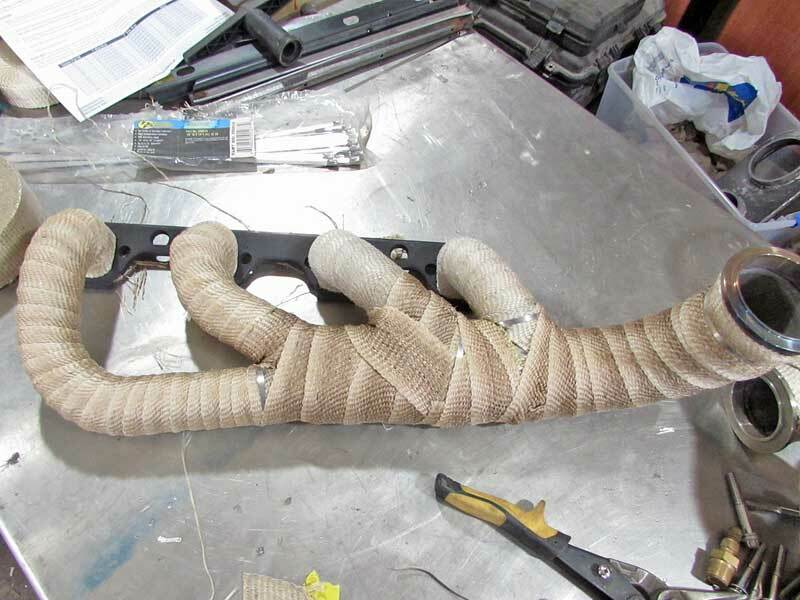 Now that everyone wants to feel extra racey with their street car or they're trying to maintain a track-day car, many more cars and bikes are getting their headers wrapped. Exhaust wraps are simple theory i.e. to keep the exhaust gases heated till they pass out of the exhaust system. This proposition works in several ways to improve the performance of the vehicle. 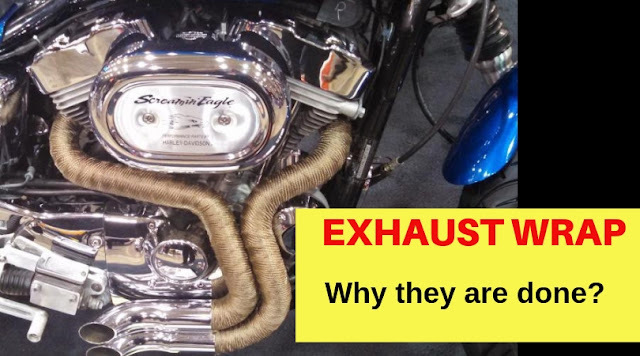 By insulating the exhaust pipes including the headers, mid section and the end, the exhaust gases are not allowed to cool as they pass through the system. As the exhaust gases are hot, their density is less, thus allowing the gases to travel faster through the exhaust system. As the speed of the exhaust gases is higher, there is better scavenging of the combustion chamber. Due to the better scavenging effect, the fresh charge fills the combustion chamber more efficiently. 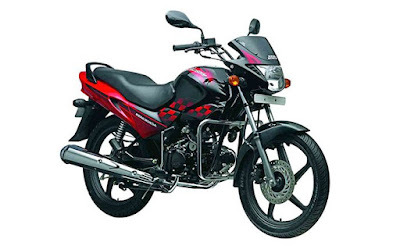 At another level, as the heat front the exhaust gases is not being allowed to radiate out throughout the exhaust pipes all the areas in the vicinity of the exhaust pipes routing run cooler thereby promoting a cooler running engine. Second benefit is a smoother running vehicle and mellowed sounding exhaust note. Another benefit is in cars, where everything comes in under the hood. Which means the heat from the exhaust headers are radiated into the engine bay. The filter box provides excellent insulation from this too. Installing wrap on your motorcycle exhaust or car headers is simple. Grab one of our recommended kits and start wrapping. In about an hour you’ll have an exhaust system that looks brand new. 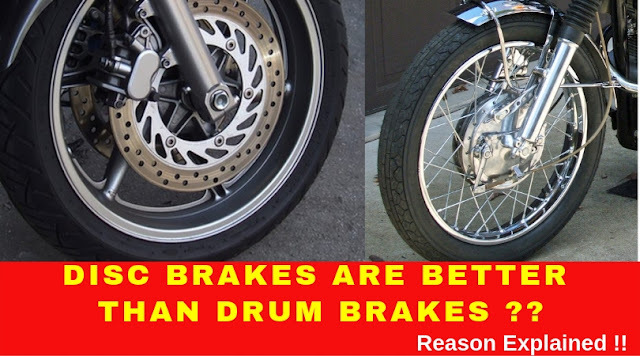 WHY DISC BRAKES ARE BETTER THAN DRUM BRAKES ? REASONS EXPLAINED !! Brakes are the most important safety feature of any automobile. There are two kinds of brakes which are generally used in case of passenger vehicle: disc brakes and drum brakes. With the advent of new technology, motorcycles are getting more powerful and faster. Gone are the days when people used to buy a bike to just commute from point A to B. Now, customers look for performance when buying a motorcycle. With the increase in power and speed, the brakes also needed an upgrade.So disc brakes are an update to drum brakes.In this article we will discuss how disc brakes are better than drum brakes. 1. )Heat Dissipation: As the disc brake is located outside the wheel, it cools down easily as compared to drum brake. The drum brake is located inside the wheel, so chances of brakes getting heated are very high. 2. )Stopping Power: The disc brake offers efficient stopping power compared to drum brake. We can also increase the bite of the brakes by adding bigger pads or multiple pads. Having dual disc is also an option to increase the braking power. 3. 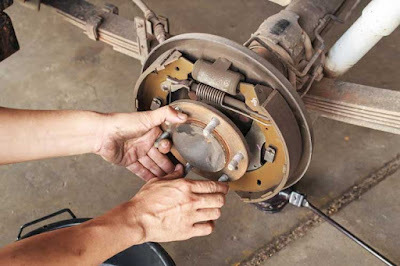 )No Wheel Damage: In a drum brake system, shoes are connected to a spring which causes friction with the wheel. So, the friction might result in overheating inside the wheel and it could damage the wheel gradually. But there is no such problem with the disc brakes. 4. )Maintenance: During the maintenance of a disc brake, you only need to clean the disc and the pads with a sanding paper. But during a periodic maintenance of a drum brake, you need to remove the entire wheel. 5.) Affordable Spares: Both the disc and the brake pads are not that expensive and it can be changed very caliper. But if something goes wrong with the drum brakes, there are chances of damage to the wheel. So a damaged wheel could be an expensive affair. Although there are few disadvantages with disc brakes like wheel lockup,high initial cost and brake fluid maintenance but these disadvantages of disc brakes are negligible. 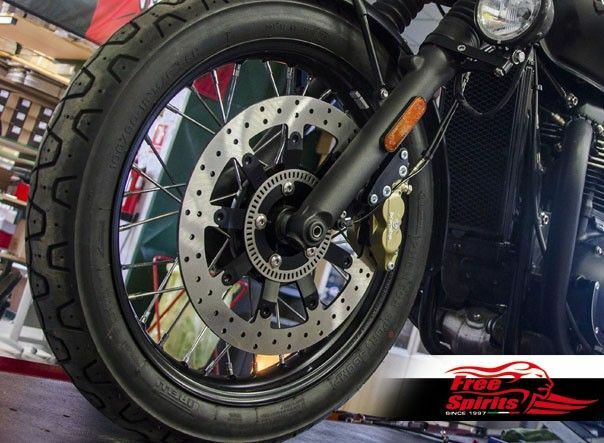 Disc brakes are always better than drum brakes and can deliver excellent braking performance. Most companies usually offer disc brakes at just the front-end on some of their smaller displacement offerings. This helps improves braking while also keeping the price of the motorcycle in check.